Use the states of matter worksheet to show whether the solid can be a liquid or the liquid can be a solid. This helps learners remember that matter can change from solid to liquid and back again. Why does matter change? How does matter change? 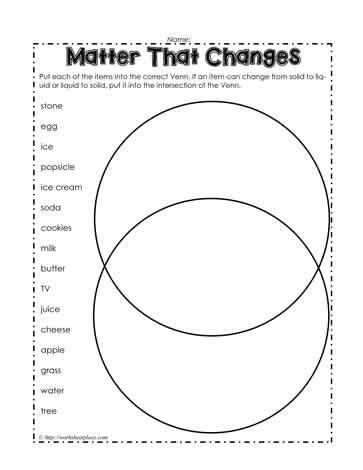 Use the liquid and solid venn worksheet to organize thinking about changes of matter.